It's handy to review who has confirmed to know if you still need to give your parents a nudge. Go to People / Families and click on "More Search Options" to get the options shown below. 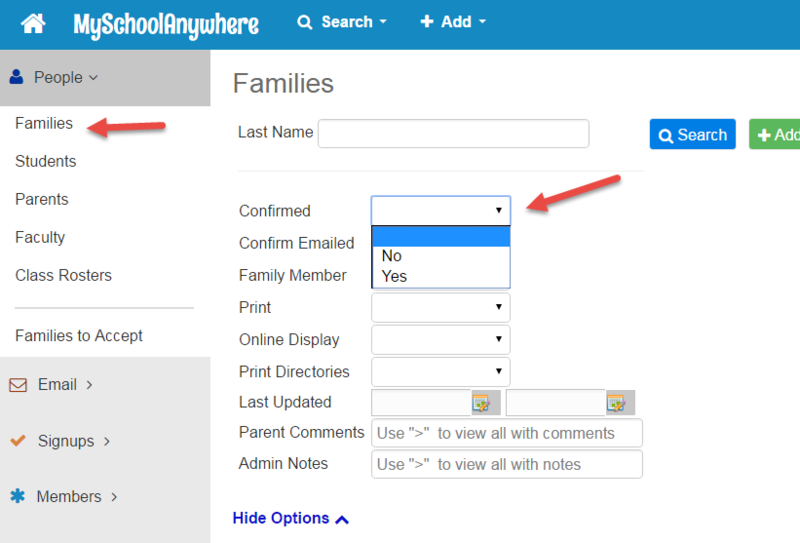 To view how many families have confirmed or not, select Yes or No from the Confirmed dropdown. A count of families will appear above the listing.